At Advanced Family Eyecare, we are pleased to offer a wide range of optometry services for our community! Our experienced optometrists can provide you with thorough eye evaluations, determine if you need corrective lenses and your exact prescription strength, fit you with the appropriate specialty eyewear, and help you pick out the most flattering pair of glasses for your face shape and skin tone. We can answer your questions about optometry services, our eye care practice, eye health products, and more. 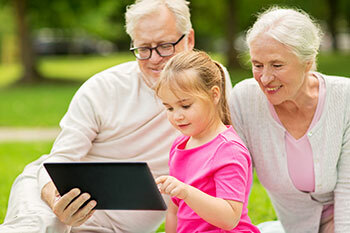 Schedule your eye exam today by requesting an appointment online, or by calling our office. At Advanced Family Eyecare, we want to preserve healthy vision for years to come so although one may not need visual correction in the form of glasses or contact lenses, it is very important that the health of the eye be checked. By looking within the eye, doctors can tell a vast amount about overall body health. Diabetes can affect all parts of the body, including the eyes. Because of the eye’s detailed vasculature it is an area of high concern for problems. Also, the ability to see inside the eye and its vasculature allows eye doctors to get a detailed assessment of how a diabetic’s overall health is and report that information to their regular doctor for further regulation of their diabetic care. 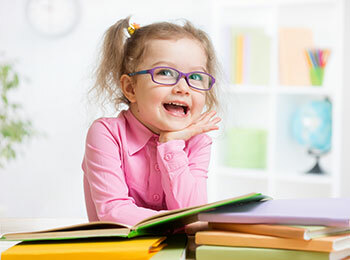 *Vision impairment occurs in 5 to 10 percent of all pre-school age children, according to the May 2004 issue of Annals of Family Medicine; The American Optometric Association (AOA) says 25 percent of all school-age children have vision problems. The Optomap offers patients an alternative to dilation utilizing an ultra-wide digital camera that takes photos of the retina. Within minutes the painless procedure can be performed and shared with the doctor. This valuable tool allows our doctors to educate you about your health and wellness, interactively review and discuss the results of your retinal exam, and track signs of retinal abnormalities or disease.